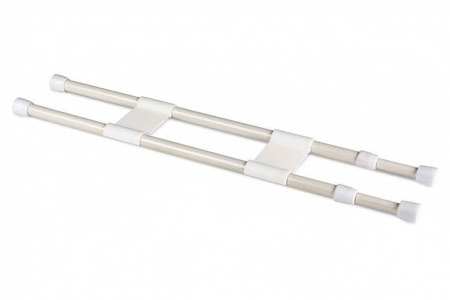 These metal rods are very strong and the telescopic feature means they can be easily adjusted to the length you require. 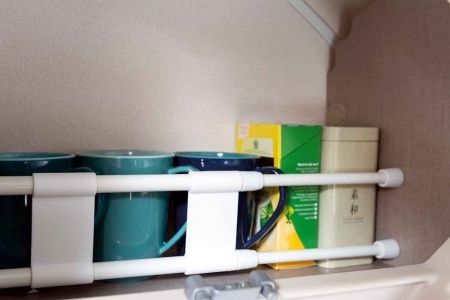 There is a durable, white plastic connecting piece that can be easily clipped on or off, depending on how you wish to use the product. 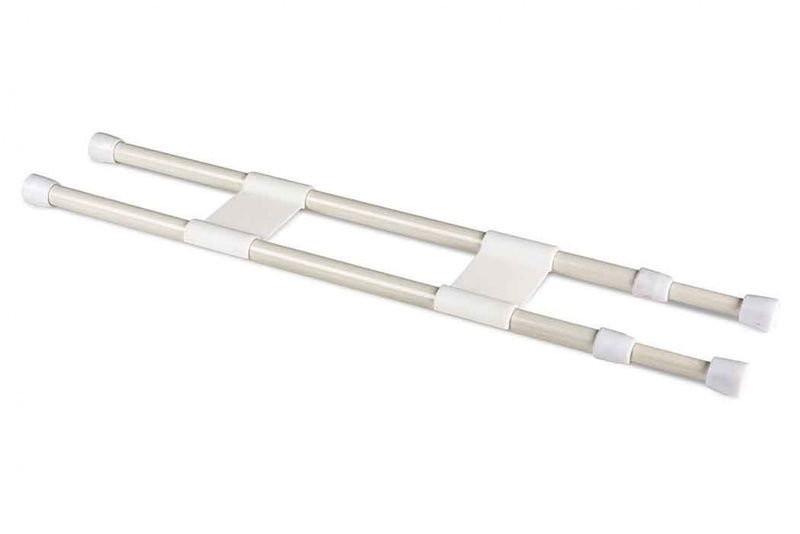 Each end of the rod has a hard, white, stop end giving grip. 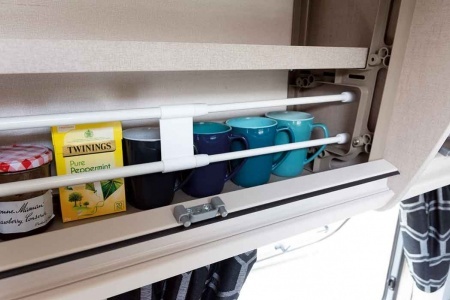 One very handy use, is to prevent contents moving in a cupboard or fridge whilst your caravan or motorhome is being driven along the road or campsite.